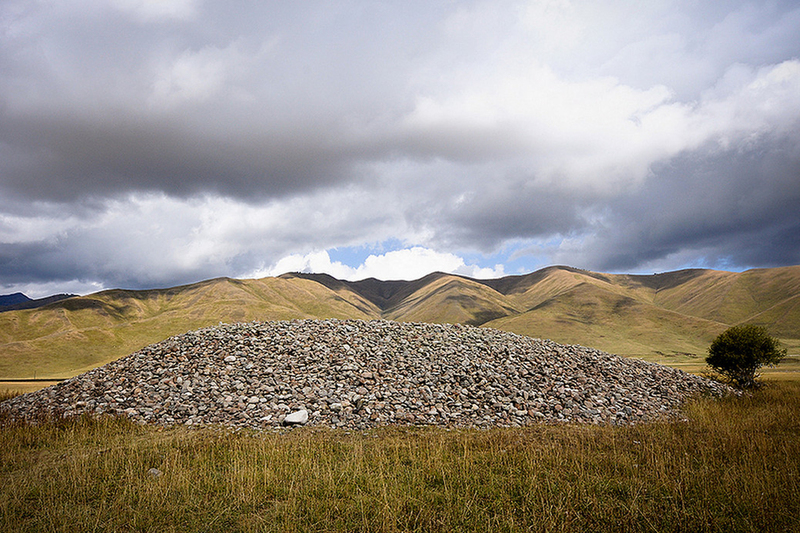 The burial mound complex San Tash is located close to the pass of the same name (2195 m) between Kungei and Terskey Ala-Too mountain ranges. 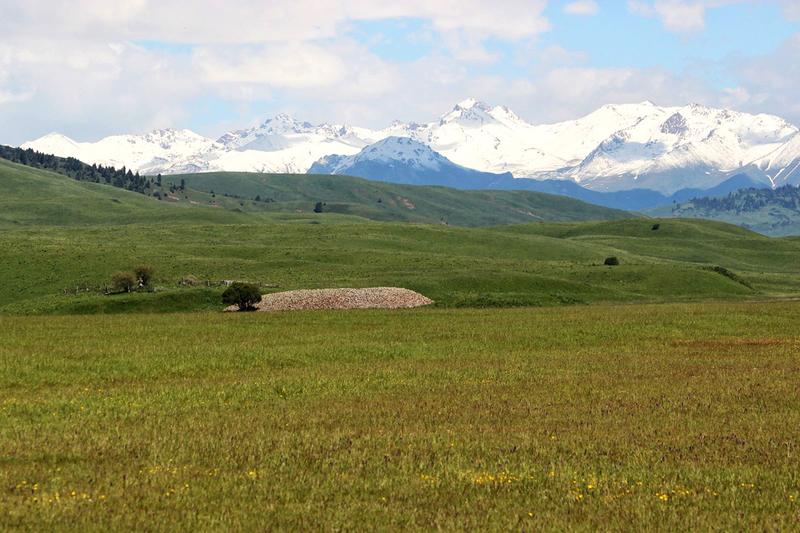 There you can see 257 large and small mounds which are graves of leaders of Saka tribes, dating back to 6th - 1st centuries BC. 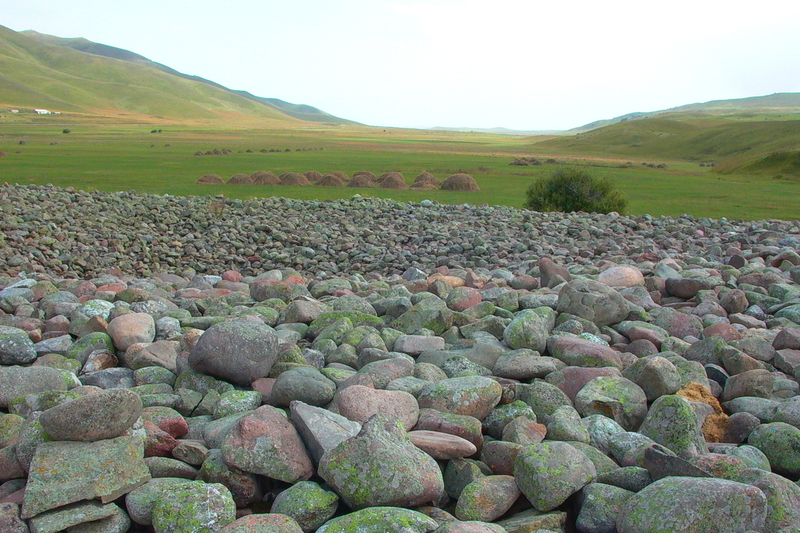 In the center of the complex there is a huge mound covered with plenty of stones, which is called San Tash. The height of it is 4 m and the diameter is 56 m.
According to estimates of archaeologists, more than 3500 cubic m of stone were spent on its construction. People often tell the incredible legend about the origin of it. 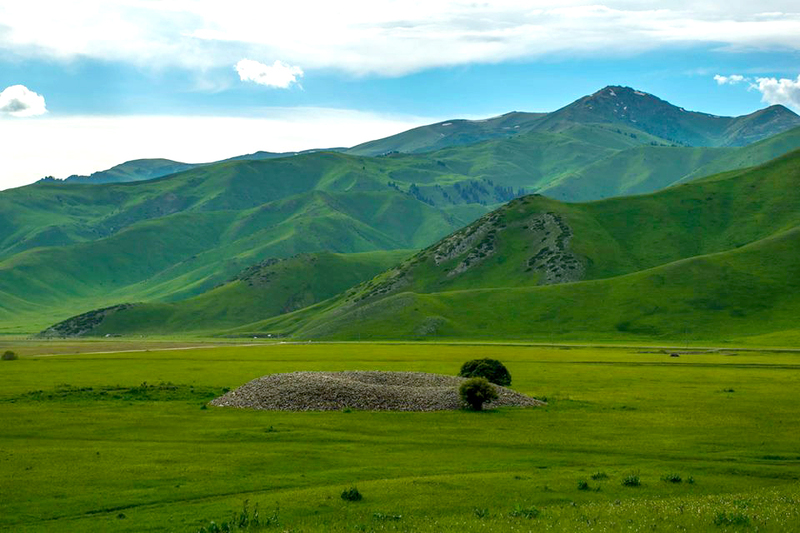 According to the legend, the mound San Tash was formed when the conqueror Tamerlane during his military campaign ordered to each of his warriors to take a stone and throw it in a pile, to determine the number of his troops. 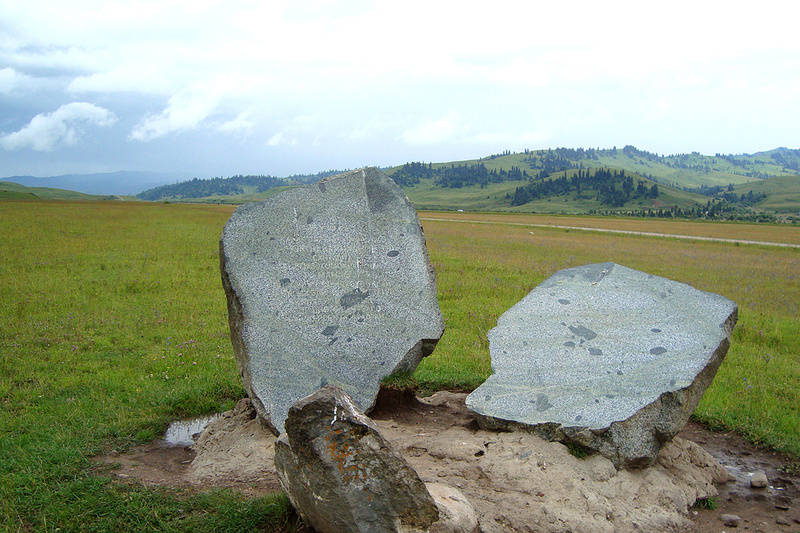 So the mound got its name San Tash, which means "the counting stones".